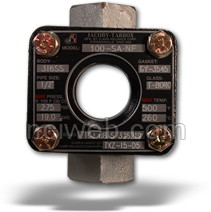 ASME 150 Class Jacoby Tarbox ® sight flow indicators can be specified to accommodate very specific application requirements. Special Jacoby Tarbox ®indictors can be designed and manufactured to meet unique installation, processing or flow criteria. 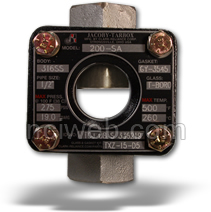 Specifiers may choose from a wide range of indicator body materials, gasket materials, glass types and window designs, plus special corrosion-resistant lined indicators. Stainless steel engraved identification bolted to unit. 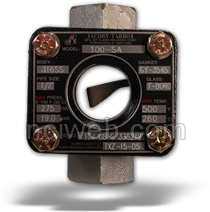 The TFE flutter allows for easy Uni-directional indication of low flowing gases and liquids. 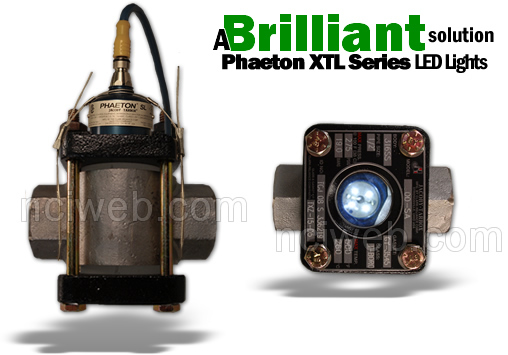 The thin ribbon type flutter curls into the pipeline, vibrating at the slightest presence of gas or liquid movement. The flow of the media is indicated by the intensity of the fluttering against the window of the unit.